A number of unique, limited-quantity items will be handed out at the booth as well. Among these will be a promo card which can be used at a number of Kung Fu Tea locations in the Boston area. Using this card will grant fans a discount on the “Tidus and Yuna’s Grape Elixir” beverage throughout the duration of the event weekend. For more details on this promotion, head to Kung Fu Tea’s official website. 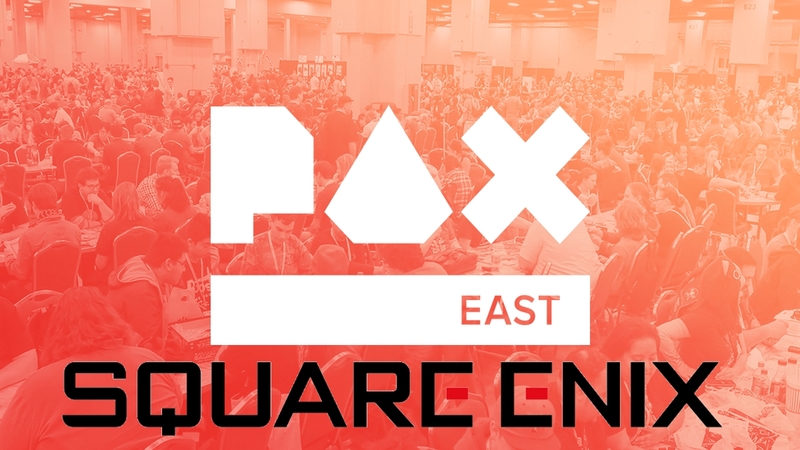 As a promotional partner of PAX East 2019, Final Fantasy XIV Online will be sponsoring the official PAX East stream. Those in attendance can snag a Final Fantasy XIV Online lanyard. These will be available throughout the convention center. Daily giveaways for the event will include themed buttons, double-sided posters, and foam swords based on the games mentioned above. Fans will also have a chance to win a Mech edition of Left Alive as well as new Logitech headsets, Final Fantasy XIV T-shirts, Dragon Quest slime plush figure, and more. Perhaps most enticing though is the chance to snag a special Chocobo’s Mystery Dungeon: EVERY BUDDY! themed lunch box. These will be handed out each day to the first 25 attendees who present a proof of purchase for the game. Last but not least, a number of tabletop games like the Final Fantasy Trading Card Game, Final Fantasy XIV Gold Saucer Cactpot Party board game, and Tomb Raider Legends: The Board Game will also be showcased at the booth. Be sure to check out Square Enix’s official website for more information on the event. PAX East runs from March 28-31 this year, so be sure to get a move on if you’re interested in attending. Tickets are still available for Thursday and Sunday on the PAX’s official website.